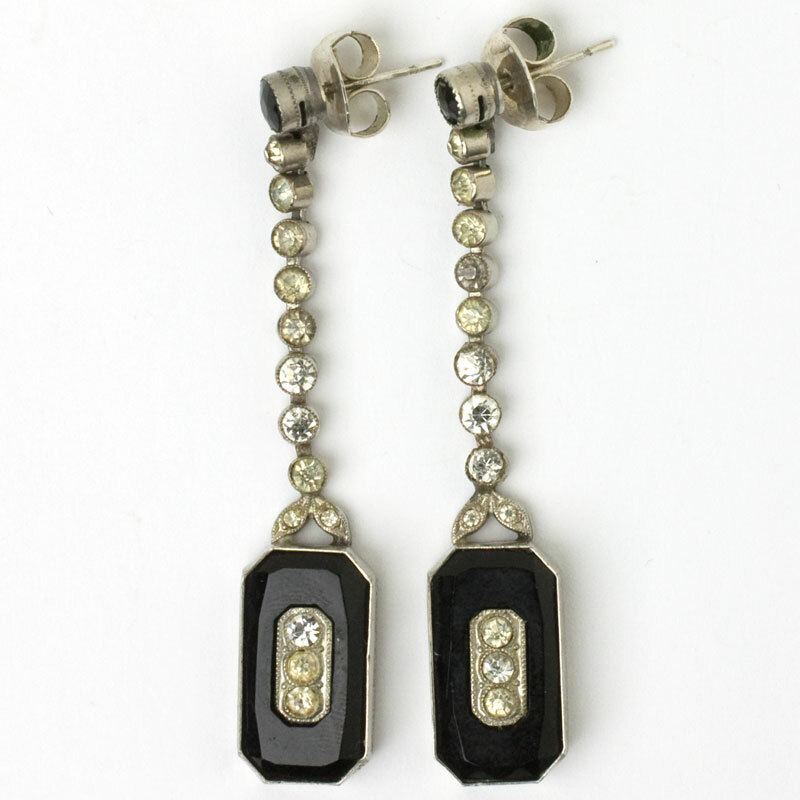 These stunning Art Deco earrings feature an onyx glass plaque with a trio of diamanté in the center, mounted in silver-tone metal and suspended from a line of collet-set diamanté. 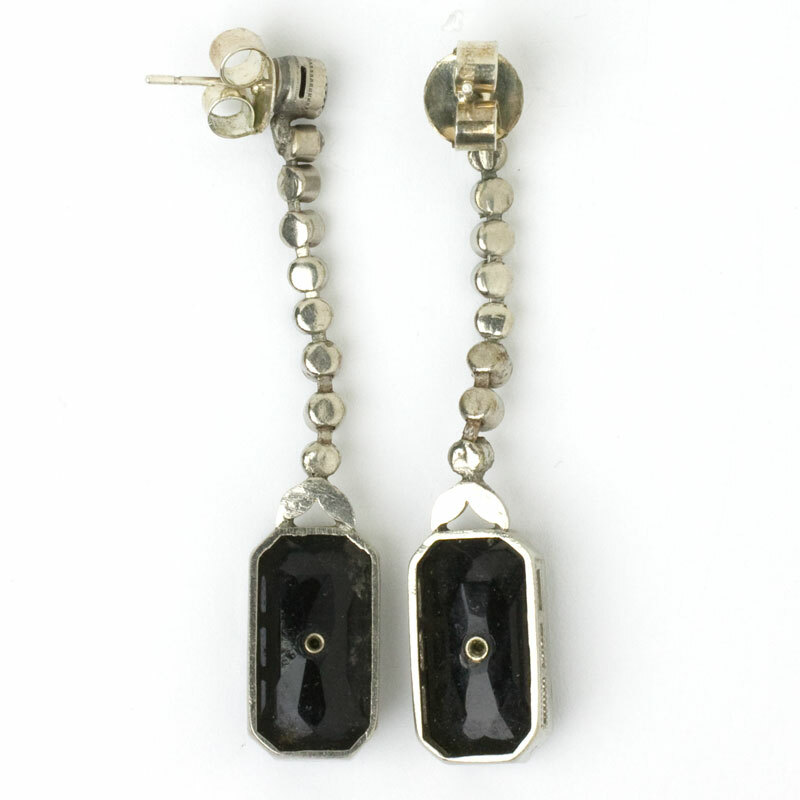 A round onyx glass stone tops each earring. 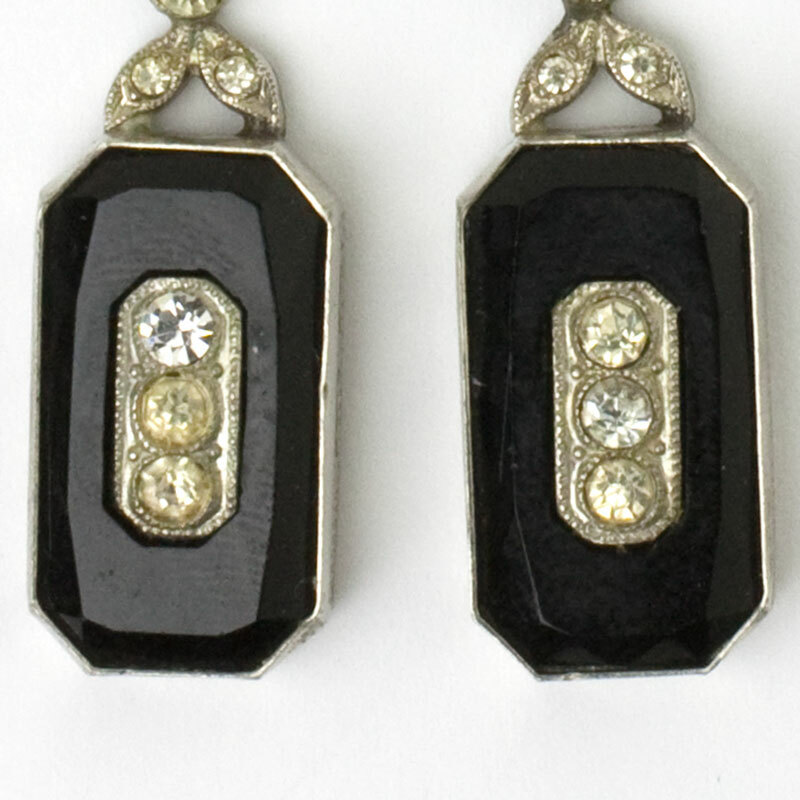 The original screw-backs were converted to sterling silver posts for pierced ears by my expert jeweler. These lovely earrings are from my personal collection. 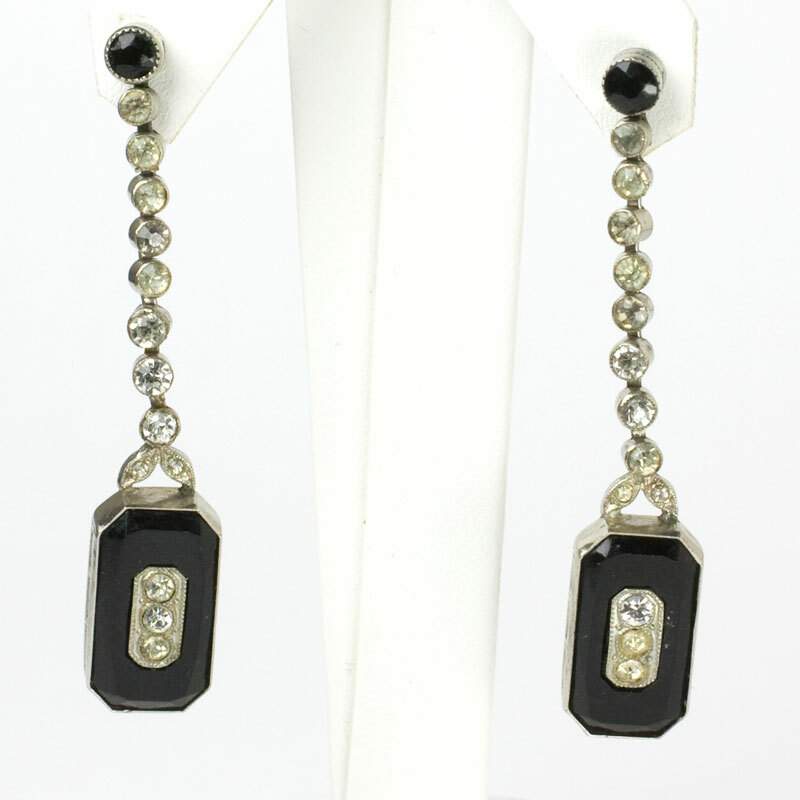 Scroll down to see Art Deco onyx bracelets to wear with these earrings. This three-row, sterling silver line bracelet by Wachenheimer Brothers has a row of faceted, round onyx-glass stones on either side of a center row of diamanté. 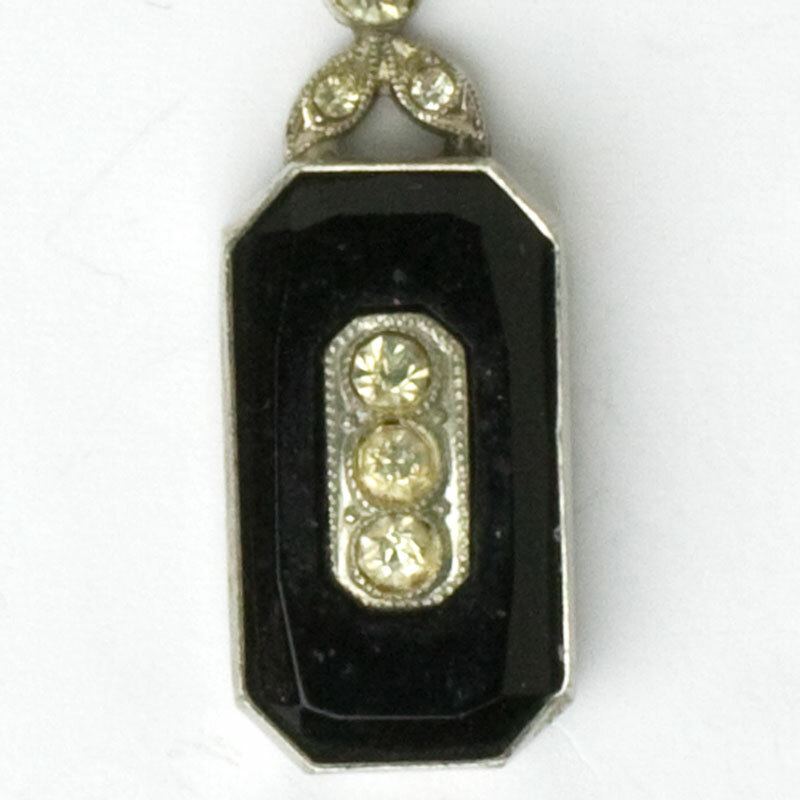 The bejeweled fold-over clasp, which joins the harp-shaped link at each end, was used by this maker in the early 1930s, when they were no longer using their Diamonbar trademark. This bracelet was made for a slim wrist. Please note the bracelet length (6 7/8") and check your wrist size before purchasing this piece. 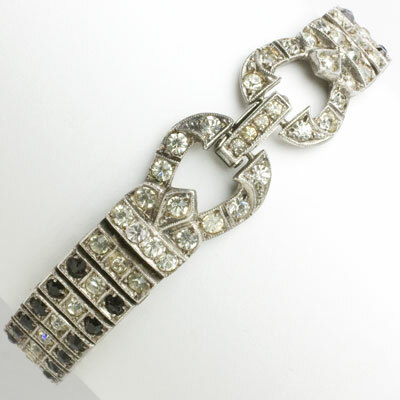 Scroll down to see a great selection of Art Deco pieces to wear with this lovely bracelet.